These socks are my secret little love letter to Sherlock Holmes – and I am a HUGE Sherlock Holmes fan. I’ve read every story and every book (just maybe, more than once), and I wanted to create a fun unisex sock that would allow other Holmes fans to let their fan flag fly. 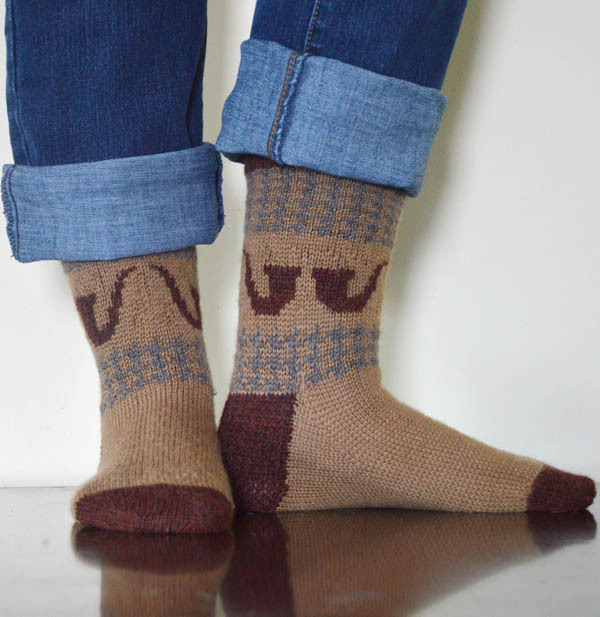 Using fair isle to create both the hound’s tooth and pipe pattern, these socks come in three sizes, and can easily be worn by men or women. These socks are constructed top down with a heel flap/turn heel.